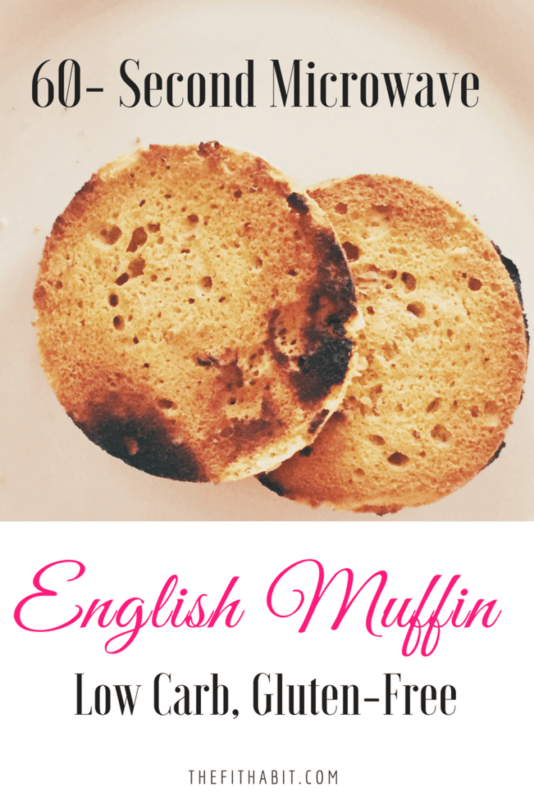 Low Carb English Muffin Recipe - Made in the Microwave! These low carb, protein English muffins have become the cornerstone of my daily breakfasts lately. Since going low carb many years ago, I can’t say there are many things I miss about bread and baked goods. The process of fat-adaption really helps with reducing cravings and hunger, so I never crave things like cookies, muffins or cake. But breakfasts are different, because I miss toast. I don’t just miss it because it’s the best tasting thing on earth, particularly when it’s got a big dollop of peanut butter on it, but it’s also a part of my history. For years my mom would wake up and leave for work before I was even awake, but she’d always make me a cup of tea and 2 pieces of toast with peanut butter. She’d rest the toast over the tea cup to keep it warm which never worked, and it made the toast kinda soggy, but I didn’t care. That was my mom’s little way of showing me that she loved and cared for me, and I adored it no matter how much I hated soggy bread. I miss it more now that she’s gone. Tea and toast will always be something that reminds me of her. Because I love my morning toast so much, I started researching low carb bread. Honestly, most of it tastes pretty bad, and don’t even get me started on keto bread, but I discovered this recipe based on an idea from a fitness influencer, and I thought it was brilliant. Given that this recipe is higher in fat and protein, one muffin, paired with some avocado or runny eggs will keep me full for 4 to 5 hours no problem! But here’s the thing – once you’ve made it in the microwave, you have to toast it. If you don’t, it stays a little too spongy (unless you don’t mind that kind of consistency). I do have a similar recipe for low carb English muffins, but this version is higher in protein (because of the whey) and lower in carbs and calories overall. Here’s what you need. This might call for a quick amazon shop for almond flour and plain, unflavored whey protein, but trust me, it’s 100% worth it. 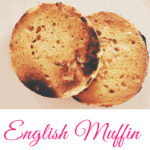 Want something super delicious and low carb to put on that English muffin? Try my superfood nut butter and perhaps some sugar-free raspberry compote (a fancy term for jam). This is such a simple, yet satisfying way to swap out your typical bread with something that's way more healthy and carb-smart. Try it! 1/4 cup egg whites you can use 1 full egg (but it’s a little harder to blend. Take a small mug or portion cup and spray it with non-stick spray. In a separate bowl, combine the ingredients, and mix. Add ingredients to the sprayed mug (you can use the one mug if you want, but using two makes it a little cleaner). Pop in the toaster oven or toaster.